Pam is originally from Chicago, Illinois and grew up in St. Petersburg, FL where her father was a dentist. 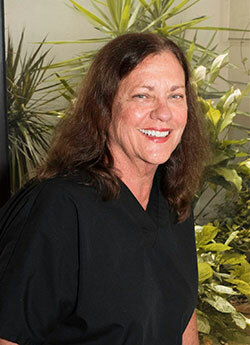 She graduated in 1977 from St. Petersburg College of Dental Hygiene. She worked for a large restorative, periodontal practice in St. Petersburg for 28 years and another 13 years in highly regarded restorative practices. 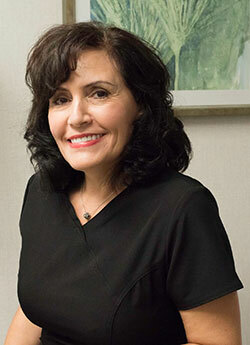 Pam is very enthusiastic about helping patients achieve their optimum dental health through prevention and management of periodontal disease. Pam hopes to have motivated patients to achieve their optimum oral health through prevention, but also that they truly feel their overall health is the benefit of their efforts. In addition, Pam also assists Dr. Quick in coordinating each patient’s long-term dental treatment priorities. Pam married her high school sweetheart Jim in 1979. He owns a real estate franchise in Treasure Island and has been a real estate broker for 41 years. They have a daughter Tiffany who is married with their first grandchild, Alivia. They also have a little dog, Bently. Pam has many hobbies. She loves to snow ski, scuba dive, exercise, cook, golf, garden, travel, hike, and photograph grizzly bears in Alaska. Her favorite place to relax is in Kauai, Hi on the North Shore and her favorite place to explore is the Kenai Peninsula in Alaska. Susan graduated with Honors from Armstrong Atlantic College of Dental Hygiene in Savannah, Georgia in 1982. 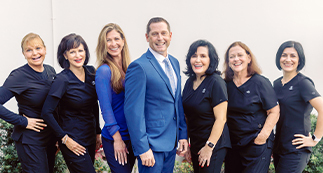 As a member of our office, she provides comprehensive oral healthcare to her patients through the highest degree of clinical excellence, education, care, and comfort. She also educates her patients to enable them to achieve optimal oral health and understand the relationship between oral health and general health. 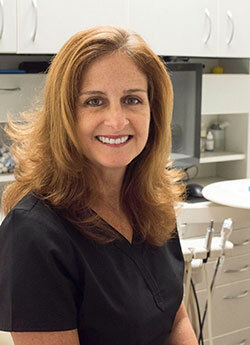 Susan is currently a member of the American Dental Hygiene Association, Florida Dental Hygiene Association, Pinellas County Dental Hygiene Association, and a local Periodontal Dental Hygiene Study Club. Susan is a native resident of Pinellas County and was raised in Belleair Bluffs. She is married with two grown children and three grandchildren. In addition to spending time with family, she enjoys the beach, boating, cycling, long walks, and gardening. Susan is active in her church and volunteers for the Cold Night Shelter for the homeless. She also enjoys volunteering for dental education programs for the Great American Teach In as well as providing dental care for events such as the Give Kids a Smile program. Eftali and her family moved to Clearwater in 1999 from Albania, where she was previously a high school history teacher. While she loved teaching, she always had an interest in dentistry. In 2004, Eftali graduated from the Central Florida Institute in Palm Harbor in dental assisting with Florida Radiology and Expanded Function Certifications. She enjoys being a clinical dental assistant who helps provide personalized dental care with Dr. Quick that results in wonderful outcomes. 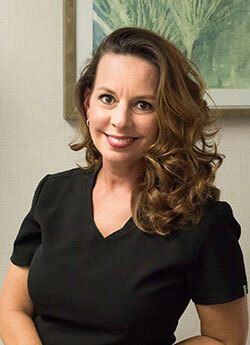 She enjoys using her education background to help her patients attain the highest level of oral health possible. Eftali and her husband, Kosta, have two beautiful girls, Ina and Keti. During her free time, Eftali enjoys reading, gardening, cooking for her family, playing with her Pekingese mix Toby, and exercising. Lisa graduated high school in 1993 with her diploma and certification in Business Management and CNA License. She began working in the dental field shortly after graduation, going on to the University of Florida to complete the Certified Dental Assistant and Radiology program. After the birth of her son, Simon, Lisa stayed at home until he began school, and joined our team shortly thereafter. She is passionate about dentistry and takes pride in caring for all those whom she has the pleasure of meeting. Lisa was born and raised in Orlando, Florida. Some of her favorite childhood memories are standing in her backyard and watching the space shuttles launch. Lisa now lives in Seminole with her husband and son. Her husband is from England, where he still has lots of family. Her son is a rising young soccer star. As a family, they enjoy going to the beach, biking, fishing, and gardening. Lisa has two pets, a three-year-old Salcutta tortoise and a one-year-old Leopard Gecko. As a dental hygienist, Samantha loves getting to know her patients and forming long lasting relationships while helping them achieve optimum oral health. She is originally from Nassau, Bahamas but has lived in the Tampa Bay area since 1993. She graduated from St. Petersburg College in 1998. Samantha is married with two children and enjoys reading and all things outdoors. 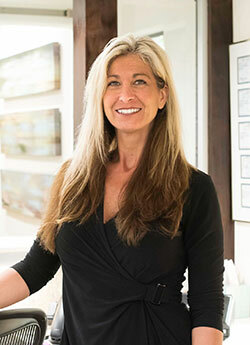 Kim has more than 15 years of experience in the dental field, working in the capacity of dental assistant, hygiene coordinator, consultant and office manager in general practices. At our office, she assists patients with scheduling, treatment presentation, questions regarding financial options and insurance claims. Kim enjoys helping patients reach optimum dental health through education, treatment, and regular dental visits. Kim is originally from New York. Kim has two children Dana and Steven. Kim and her husband Nick enjoy boating, biking and going to the beach. Sally is a compassionate dental hygienist has thoroughly enjoyed the long lasting relationships with her patients over the 40+ years of her career. 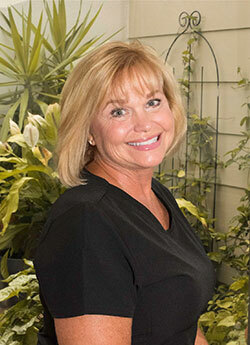 She is focused on patient education and motivating her patients to continually improve their oral and overall health. Her goal is to help all her patients achieve optimum oral health through excellent professional hygiene care. Sally has lived in the Largo community since moving to Florida in 1958. She loves snow skiing, fishing, and traveling.